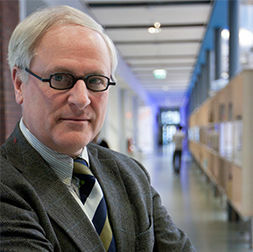 Huib de Ridder is full professor of Informational Ergonomics in the Faculty of Industrial Design Engineering at Delft University of Technology, The Netherlands. He holds a M.Sc. degree in Psychology from the University of Amsterdam and a Ph.D. degree from Eindhoven University of Technology. From 1982 till 1998 he was affiliated with the Vision Group of the Institute for Perception Research (IPO), Eindhoven, The Netherlands, where his research focused on both fundamental and applied visual psychophysics. From 1987 till 1992 his research on the fundamentals of image quality metrics was supported by a personal fellowship from the Royal Netherlands Academy of Arts and Sciences (KNAW). In November 1998 he joined the Faculty of Industrial Design Engineering at Delft University of Technology where he became full professor in December 2000. He is heading the Human Information Communication Design (HICD) group consisting of researchers with a background in industrial and graphic design, physics, computer science, psychology and ergonomics. His main research objective is to contribute to the development of smart (real and virtual) environments that can enhance human capabilities by sensing, interpreting, reacting to and even anticipating human behaviour, i.e., intentions and/or emotions, as observed in the natural world. To this end, his research focuses on human behaviour at both perceptual and cognitive level. In May 2008 he co-founded the Delft Perceptual Intelligence Lab (π-Lab) to investigate (multi-) sensory fluency. He is (co-) author of more than 150 scientific publications in such diverse fields as user understanding (e.g., intention tracking in user-product interaction, interaction with embedded intelligence, engagement), information presentation (e.g., picture perception, form perception, image quality), ambient intelligence and wireless communication (e.g., inducing cooperation in P2P networks, willingness-to-share in virtual communities) and vision-based gesture recognition. He was head of the Department of Industrial Design from 2002 till 2006. Since 2010, he is coordinating the faculty’s research programme on User Experience. Embodiment design through sound design. Feedback sounds for the automotive industry.